Tax incentives and the promise of reduced fuel consumption have caused many people to consider purchasing the Prius which is Toyota's flagship hybrid vehicle. The Toyota Prius has received many technical and styling improvements since its debut in 1997. 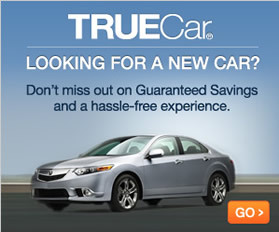 Some of them include extra cargo space, a sportier exterior design and improved gas mileage. Here are some of the special amenities that auto consumers can expect to see when they evaluate the available 2016 Toyota Prius models. The Toyota Prius Two Eco gets 58 mpg in the city and 53 mpg on the highway. The increased fuel-efficiency of the Toyota Prius Two Eco is due to its lighter weight. Toyota reduced the car's weight by 65 pounds by substituting the standard nickel hydride battery with a lithium-ion battery and replacing the spare tire with a tire-inflator kit. The Toyota Prius Three Touring has a base curb weight of 3080 pounds versus the 3050 lbs of the Toyota Prius Three. This model Prius is equipped with 17-inch wheels instead of the standard 15-inch wheels that are found on lower trim models. Lower Prius trims have wheel locks and covers, but this model has no wheel covers. The Toyota Prius Three Touring has an additional safety feature in the form of fog lamps, and it comes with premium synthetic seats rather than cloth ones. 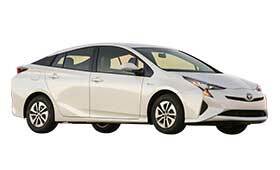 The Toyota Prius Four Touring sits on 17-inch aluminum wheels that include locks, and its base curb weight is 3080. It's equipped with the fog lamps that are lacking in the standard Toyota Prius Four trim. Toyota has also installed a premium sound system in this Prius model. Increased competition and technological improvements within the hybrid car manufacturing sector have made owning fuel-efficient automobiles viable options for many drivers. Serious competitors in this market include the Nissan Leaf, Ford Fusion Hybrid, Hyundai Sonata Hybrid, Chevrolet Volt and the Honda Accord Hybrid. With its extensive amenities that fall within reasonable price points the 2016 Toyota Prius remains an established leader in its category.